This outfit is anticipated from the famous American crime/drama film American heist, which got released in 2014 and found huge success at the box office. It was worn by lead character called Frankie who amazed everyone by his intrepid acting in the movie. 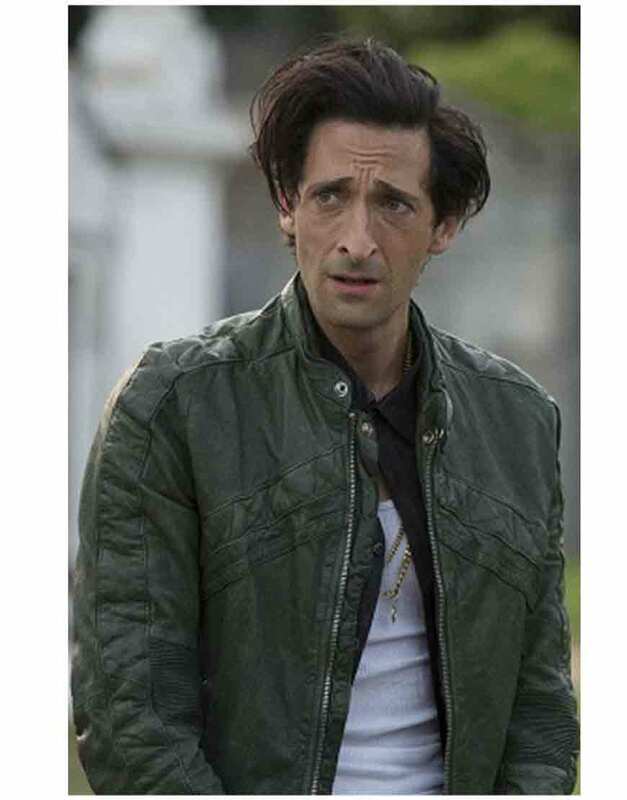 This American Heist Adrien Brody Jacket is the perfect crafted unique wearing apparel which a leather lover would always wish for. 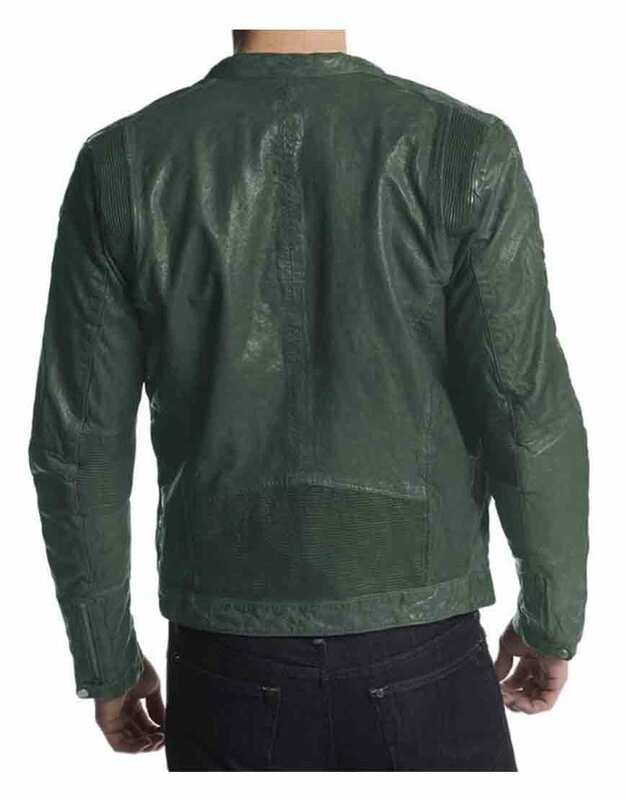 It is skillfully confined with real genuine leather material to make its look more appealing and compelling, while the inner viscose lining inside makes it durably warm and smooth for all season wearing. 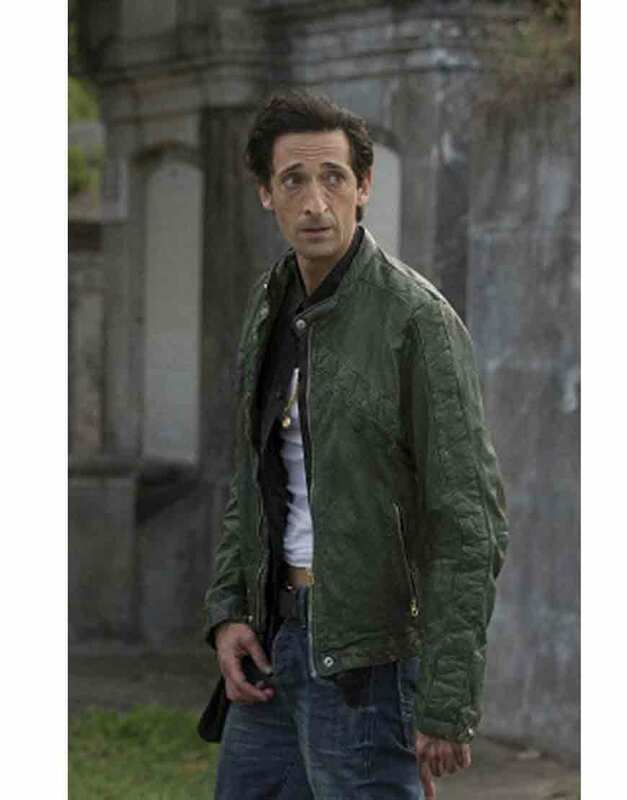 This American Heist Adrien Brody Jacket has a very professionally designed snap tab stand up collar unified on the neckline, and has full zipper front conclusion with two pockets sewed on the waist side. The diagonal wide lines designing on chest area makes this attire an absolute treat to have. 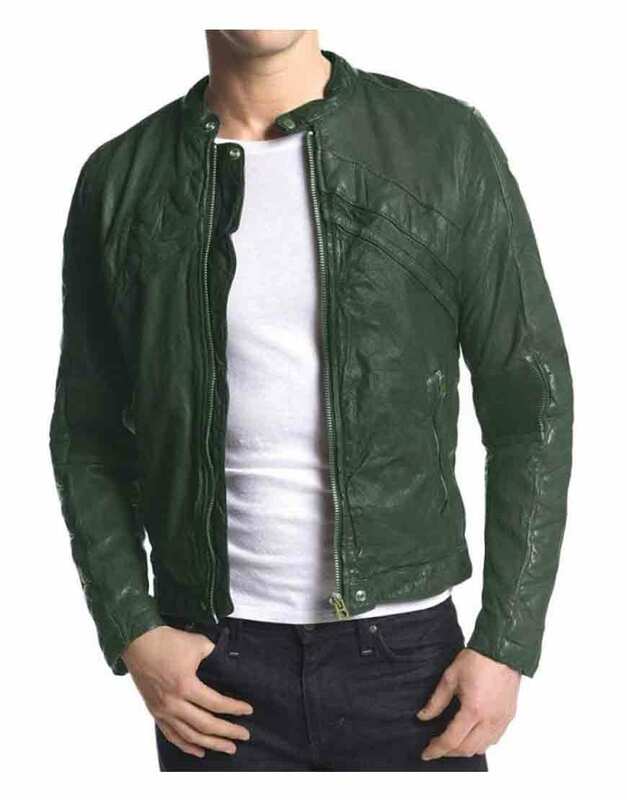 I am very pleased to find this jacket after a prolong research as I am very choosy and nothing attracts me easily. It suits me very well, the shoulders and collar are very soft so I don’t have a hard time fitting in. The beautiful nicely tailored stitching makes it very stylish and impresses everyone with my fashion sense.